The 65th Aggressor Squadron is part of the USAF’s 57th Adversary Tactics Group.They fly F-15C MSIP II Eagles painted to look similar to Su-27, SU-30 Flankers, PAK_FA and the MiG-29 Fulcrums ,and are trained to use Foreign and Former Soviet tactics and maneuvers. In Red Flag Exercise they take on the role of Adversary in the Red Force, providing a chance for USAF and other NATO and allied pilots to experience engagements against the type of enemy they would likely encounter in real combat situations. This Squadron have 3 major type of Camouflage schemes that I will illustrate. Unfortunately due to budget constraints, 65th Aggressor squadron was deactivated in Sept 2014.The deactivation started with 12 of the aircraft being transferred to various Air National Guard units. 7 aircraft with nine pilots and around 100 maintenance personnel were transferred to the 64th AGRS, to augment its fleet of F-16s. This is only a temporary reprieve as these F-15s are due to be retired to AMARG in Tucson, Arizona. These aggressor F-15s is still taking part in the first two Red Flags 15-1 and 15-2. I hope we will still be able to see some of these beautifully painted F-15 in the foreseeable future. 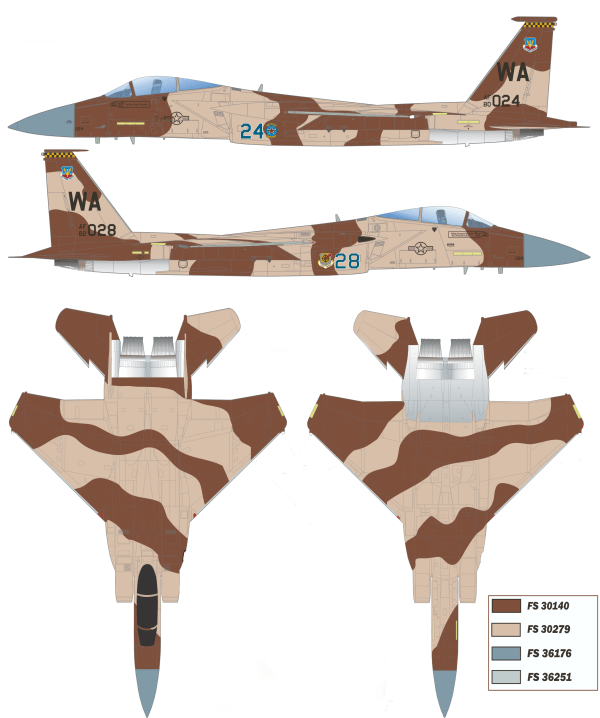 Initial batch of the 65th came with 3 of the aircraft painted in a two-tone brown desert scheme, the other four in a two-tone blue flanker scheme. The Strength built up to 20 plus aircraft as time goes. 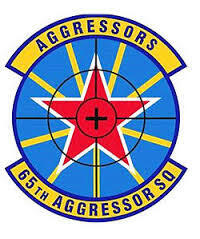 65th did not get the splinter or digital flanker scheme till summer of 2010. All these schemes were to simulate the SU27/30/35 series of jets and PAK-FA which uses camouflage pattern that is unconventional to western built combat aircraft. 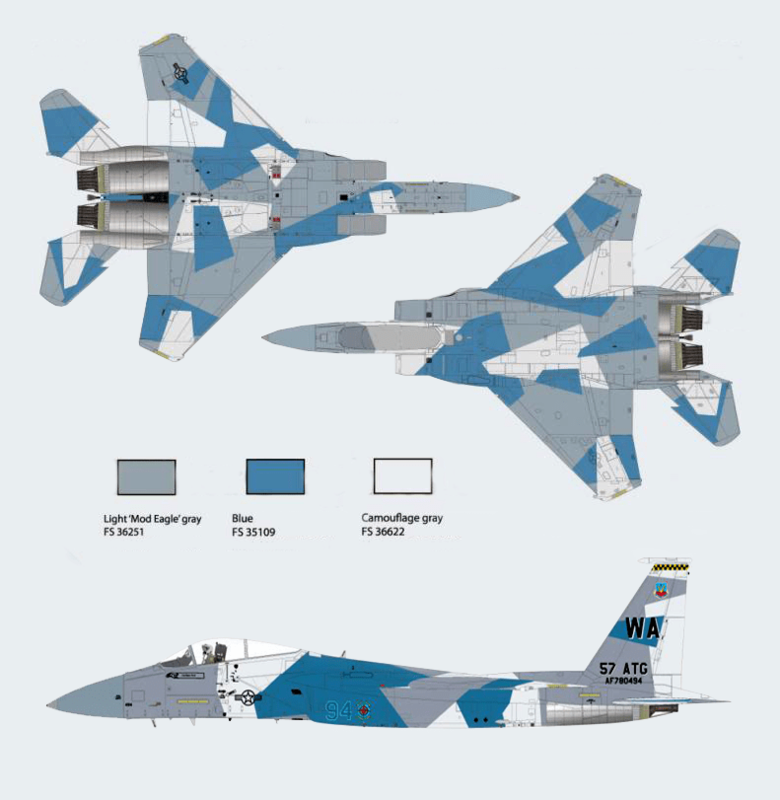 Here are some illustrations of Russian built SU-30 camo patterns which you can see resemblance of the 65th camo patterns use on their F-15s . Coined a “Digital Flanker” by 65AGRS personnel, this F-15C is painted to replicate a pattern found on some SU-30Bs and PAK-FA. Where “Digital Flanker” came from might be anyone’s guess, but the pattern mimics that of a splinter scheme. Color consists of the FS 35109 Blue, FS 36622 Light Grey and FS36251 Mod Eagle Grey. The Light grey appears to be more white than grey under most photographs. The pattern are hard edge painted just like most Splinter camouflage. The Desert Scheme consists of 2 tone tan and Brown of FS 30140 and FS 30279. The leading edge has the Grey FS 36251. Nose cone retains the Mod Eagle Grey FS 36176. 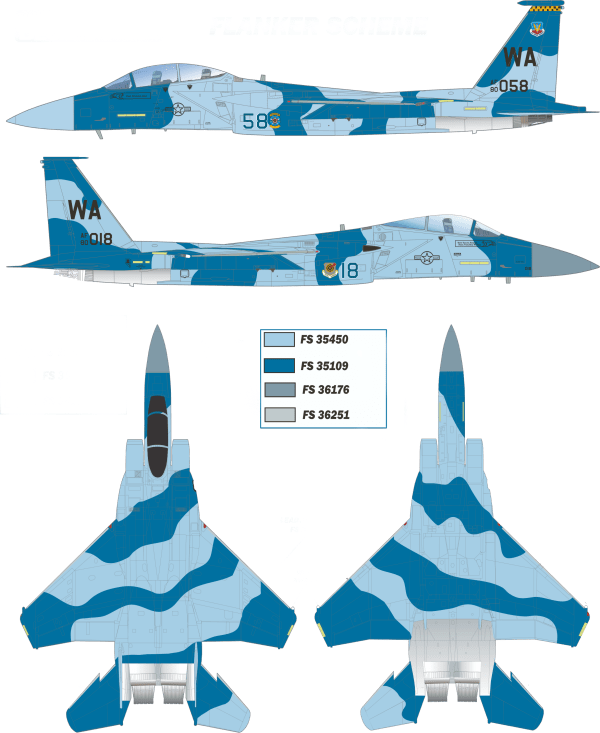 A very distinctively colored camouflage scheme where it mimic Soviet era jet fighters like the MIG-23 or the newer SU-27 with the Russian Style Bord Number. The pattern has a tightly sprayed soft edge camo pattern.